The small item aid does not need to fit as tightly as our other gripping aids. 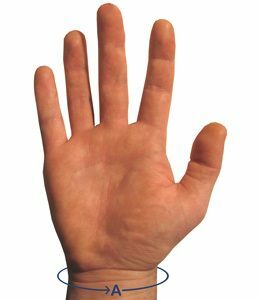 If you are borderline on the wrist size then consider your hand size across the knuckles: if it is greater than 18cm you may want to consider the Standard/Large size. If you have specific requirements which are not met by any of our sizes, we may be able to manufacture a bespoke aid to suit your needs. Please email info@activehands.com with any enquiries.